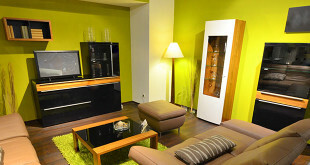 A good and usually cheaper alternative to hotels are serviced apartments. Prices are very similar to 2 or 3 star hotels. It is a quite a new trend that many tourists prefer to stay in short-term rented apartments or private flats. This type of accommodation is especially appreciated by families with children and larger groups if they want to stay under one roof as some apartments can accommodate up to 12 people. Also, people in search of a cosy and well-equipped place (generally all apartments have cooking facilities) where they can do almost everything by themselves will like them. Most apartments (except some hotel apartments) do not have a reception or room service to deal with your needs. On the other hand you will definitely get more privacy and better value for your money. All you have to do is pick up a key to the flat or apartment and at the end of your stay return the key.